A ballet originally staged in 4 acts and 8 scenes with music by Ludwig Minkus, based on Cervantes' novel "Don Quixote de la mancha". 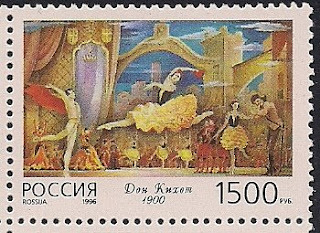 It was premiered by the Imperial Bolshoi Theatre of Moscow on December 26, 1869, choreographed by Marius Petipa. Since then various changes of scenaries were made.